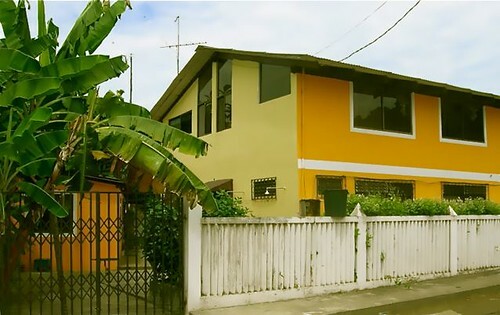 Here are numerous Ecuador comments from Ecuador Living readers and an Ecuador coastal duplex that shows how to earn income and live in Ecuador and the types of property you can see on our Ecuador real estate tours. 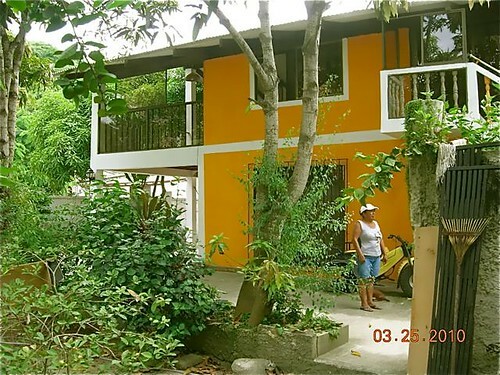 I wrote a couple of days ago that I planned to share a nice Ecuador beach house that a reader purchased for $30,000 to show how one can fix up… but she asked me not to, so here instead is an Ecuador coastal duplex that is an even better Ecuador real estate bargain. 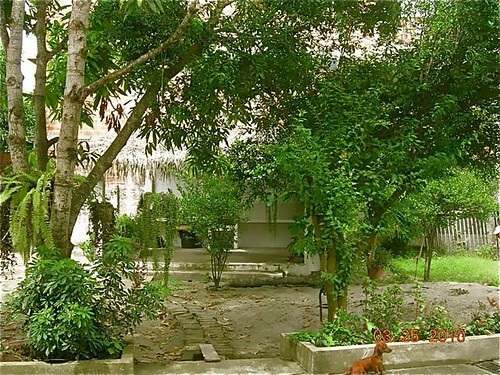 The house sits one block from the beach in San Vicente… just north of Bahia on an appx. 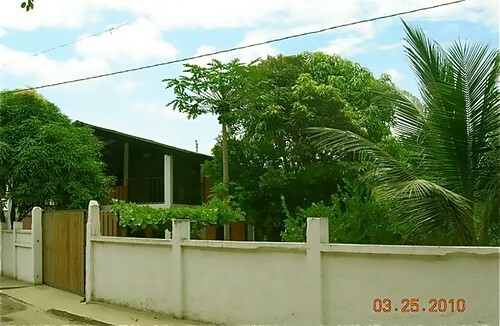 6,500 square foot lot in a very quiet and safe neighborhood. There is a nice brick wall which goes around the entire lot. two baths, kitchen and living room/dining room. 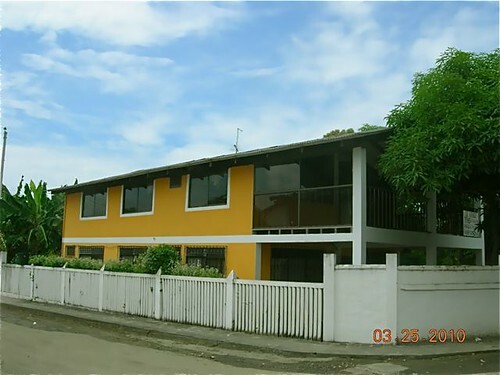 This an ideal income producing and living duplex with one floor a rental and one floor for living. Or rent both units. There is a beautiful, large, side lot with fruit trees and covered picnic area. The property also has a guard/caretaker”s quarters on the…. The dimensions of the house are 25′ by 32′. The small house for the caretaker is 10′ by 30′. This works out at $36 a square foot including the land. Current construction costs are running $50 a square foot and up in Ecuador… plus land. 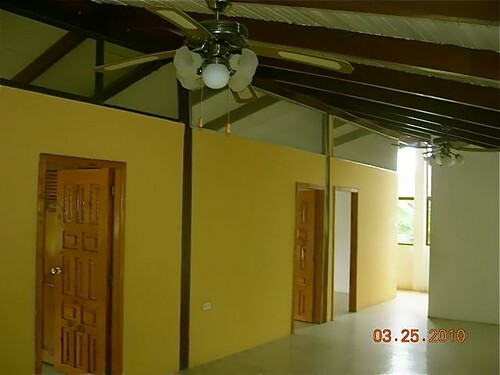 Yet this Ecuador coastal duplex… 1,900 square feet of construction and the land has an asking price of only $69,000. 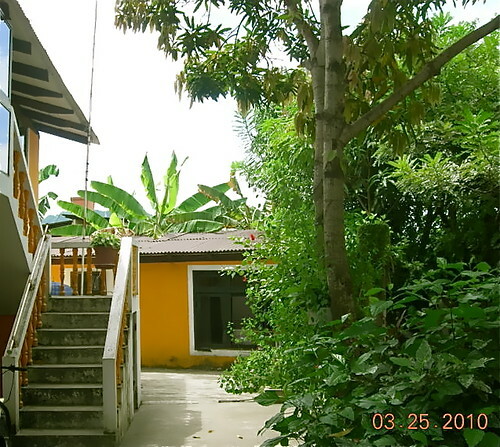 What a great Ecuador real estate bargain! 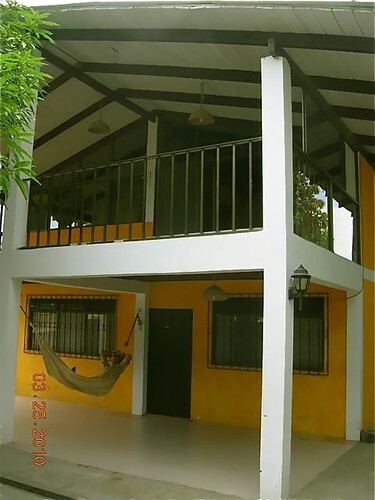 We just added this Ecuador coastal duplex to our Ecuador Living MLS. Ecuador Living subscribers can get full contact details at the password protected Ecuador Multiple Listing Service. Non subscribers can learn how to subscribe and see the full MLS here. DEAR GARY, I RECEIVED MY TWO DOZEN ROSES, AND I MUST SAY THESE WERE THE MOST BEAUTIFUL ROSES I HAVE EVER SEEN. THE ROSES APPEARED TO HAVE JUST BEEN CUT-LEAVES ALIVE AND DARK GREEN WITH THE BLOSSOMS VIBRANT AND RADIANT WITH COLOR. LAST WEEK I HAD PURCHASED A DOZEN ROSES FROM A VENDOR WHO SAID THE ORIGIN WAS ECUADOR BUT THE BLOSSOMS NEVER FULLY OPENED THE THE LEAVES WERE FALLING OFF. We will look at how to create your own international micro business including how to have an Ecuador rose business at our upcoming Quantum Wealth Course June 24 to June 28 in West Jefferson North Carolina. Click here for details. Hi Gary, Thank you very much for the courses, I will put them to good use. I am 100% committed to putting into practice everything I have learned on the export course. So much so that I have told my boss I will be finishing and moving to Brisbane where I can properly build my import business here in Australia. Merri, We just completed import export tour and it was amazing. Bonnie does such a wonderful job she is great. I purchased some of Dianna´s pieces and she invited met out to look at her home this morning. I did go, and as you know, it is amazing. I love the area and the people. I think Carl and I will both come back in a couple of weeks. I feel I can really utilize the artist in the area for my needs which are specialty items that I will have fabricated at different vendors. I am going to Cuenca tomorrow to spend time there. Thank you for this wonderful amazing experience this week. Kindly, Beverly. Gary, Good afternoon. Well, I am safely back in the saddle at work and home. What a tremendous time I had in Ecuador! My mind is full of wonderful, easy, light memories and also full of hope and encouragement to not only change and improve my life, but the lifes of some people in Ecuador. Thank you so much, to you and Merri for introducing me to the country, the people and the potential, and also to Bonnie, for her patience and great experience in showing us the many potential opportunities that exist. Merri, Thank you for allowing me to visit the El Topo school. It was wonderful to meet the director and the teacher there. The children were so excited to receive the gifts of fruits and Franklin was so kind to allow me to give out the fruit to the children! Of course, I could not have been successful without Don there to translate for me. He was invaluable in me communicating there! I asked if they needed any supplies and there are some that I would like to gather to send back to them. What is the best way for me to send these items? May I send them to you or is there a better way to get them to the school? Any guidance you can provide will be helpful to me. I would like to reiterate how much fun I had under Bonnie’s supervision! You have a real gem in her presence and her knowledge of the opportunities and the craftsmen there in Ecuador. Join Merri and me with Peter Laub of Jyske Global sset Management, Jean Marie Butterlin, who leads our Ecuador real estate and shamanic tours, Floridalva Zambrano, our Ecuador real estate attorney and Bonnie Keough who leads our Ecuador export tours at our upcoming Quantum Wealth Course June 24 to June 28 in West Jefferson North Carolina. Click here for details. Dear Gary, I have just recently subscribed to your news letter and find the info you provide just fascinating and very useful. I just returned home from Ecuador and I bought a small 2 story beach house on property for $30,000. It is in El Matal near Jama. It is about 4 miles from Coco Beach Village. Is this also a good area for potential? It is ocean view just a few steps to the ocean and I can clearly see the ocean from the upstairs bedroom windows. Meet our Ecuador real estate attorney Floridalva Zambrano who lives near this house at our upcoming Quantum Wealth Course June 24 to June 28 in West Jefferson North Carolina. Click here for details. Do you love the mountains instead of the sea? 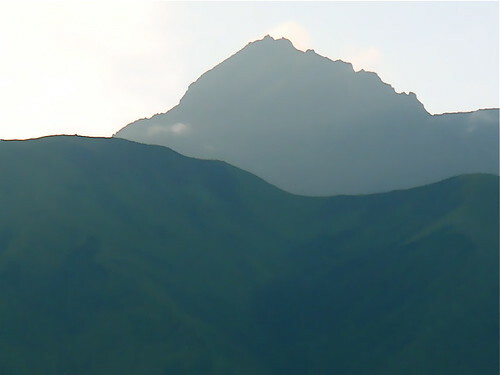 Learn about Ecuador real estate with this view here.